ADA will help you understand your symptoms and guide you to the relevant treatment options. A symptom assessment with Ada takes 2-3 minutes and once it has completed you will see potential causes for your symptoms. 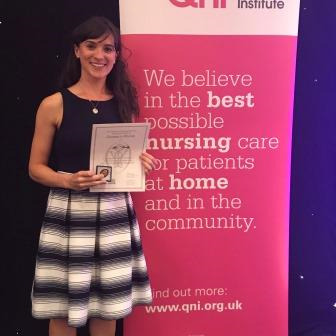 Our Nurse Mia Skelly has been awarded with the Queen's Nurse Title! Queen’s Nurses serve as leaders and role models in community nursing, delivering high quality health care across the country. The application and assessment process to become a Queen's Nurse is rigorous and requires clear commitment to improving care for patients, their families and carers. From Monday 4th June most of the ‘Same Day Appointments’ will be released for on-line booking at 18:30 the previous day. Read here about our Appointment System and make sure you register for on-line services! Due to big demand we have started running dedicated Smear Test Clinics every Tuesday afternoon from 16:30 until 19:30 with Nurse Karen. Smear tests can help prevent 75% of cervical cancers from developing yet 1 in 4 women don't attend. Are you up to date with Yours? Call us to book your appointment or book it on-line! Important update on changes to prescribing policy in Lambeth! As of 2nd October 2017 Lambeth CCG no longer supports the routine prescribing of medications for acute (short-term) illnesses, minor and/or self-limiting conditions; and health supplements. Springfield Medical Centre is part of a larger new development by Family Mosaic Housing that includes rented and shared ownership homes. The council has moved some of its services here and the local community can to hire rooms for events. 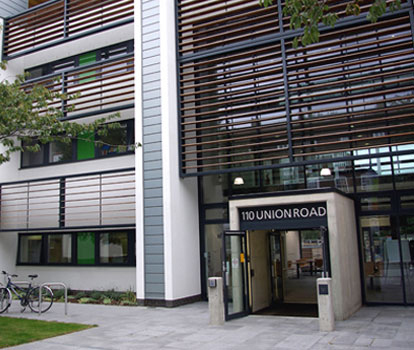 Both NHS Lambeth and Lambeth Council have made significant investments in 110 Union Road to make it a focus for children's services. midwifery, health visiting, speech and language therapy, crèche, nursery and other services are all provided at this centre. Promote clinical safety and respond to any concerns and significant events in a timely manner. Facilitate a culture of learning and being responsive to the needs of the local community. Do It On-line now you can book an appointment, check your blood test results and request your repeat prescription on-line with Patient Access! Go to the Patient Access Website or download the app for your mobile! Please read the guidance for on-line bookings before making an appointment! Check out the 'When we are closed' section to see where to look for advice. Busy schedule? Looking for an advanced booking evening or weekend appointment? Contact us to book an appointment with GP ACCESS HUBS.